What Happens If I Convert a Chapter 13 Bankruptcy to Chapter 7? In a Chapter 13 bankruptcy, a debtor submits a payment plan to the court. This plan ensures the debtor’s disposable income is used to pay back his or creditors as much as possible. But what if circumstances change and the debtor no longer has sufficient income to fulfill the payment plan? In such cases the debtor may seek to convert their bankruptcy from Chapter 13 to Chapter 7. A Chapter 7 bankruptcy involves a straightforward liquidation of the debtor’s non-exempt assets. There is no ongoing payment plan; any unsecured debt is effectively discharged. 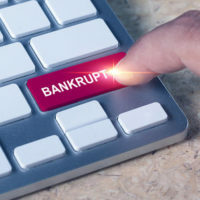 One thing to keep in mind when converting is that any assets listed as part of the bankruptcy estate during the Chapter 13 case generally remains part of any subsequent Chapter 7 filing. This can be important when dealing with certain types of secured property, such as a house with a mortgage lien. Converting may affect a debtor’s ability to keep their home. For example, an Orlando-area couple filed for Chapter 13 bankruptcy in 2010. They listed their home as an asset on their petition. A creditor held a secured mortgage lien of approximately $250,000 on the property. A few months later the couple decided to convert their bankruptcy from Chapter 13 to Chapter 7. The bankruptcy court ultimately issued a Chapter 7 discharge. Such a discharge, however, does not eliminate a mortgage lien, only the debtor’s liability to pay the debt. More important in this case, the debtors’ original Chapter 13 petition signaled their intent to “surrender” the property back to the creditor. The Chapter 13 petition made no mention of the home or the debtors’ prior statement regarding surrender. And after receiving their Chapter 7 discharge, they fought efforts to foreclose on the property. Nearly five years later Fannie Mae, which held the mortgage, asked the bankruptcy court to order the debtors to surrender the property. The bankruptcy judge granted Fannie Mae’s request, and a U.S. district judge later upheld that decision over the objections of the debtors. Before the district judge, the debtors argued they never intended to surrender the property once they converted their bankruptcy from Chapter 13 to Chapter 7. But as the judge explained, “When a Chapter 13 case is converted to a Chapter 7 case, any schedules filed in the Chapter 13 case are deemed filed in the converted Chapter 7 case.” In the case of a property secured by mortgage, a debtor must file a statement at the time of conversion “indicating whether he intends to redeem the secured property, reaffirm the debt the property secures, or surrender the property.” The debtors never filed such a statement here–nor did they take any action to reaffirm their commitment to pay the mortgage–so the bankruptcy court properly ordered them to surrender their home, consistent with their original Chapter 7 filing. Keeping a home is one of the main reasons people seek bankruptcy protection. But you should never assume filing for bankruptcy will automatically protect you from a mortgage lender with a valid lien on your property. If you need advice from an experienced Miami bankruptcy lawyer on how to file for Chapter 7 or Chapter 13, contact the Law Office of Julia Kefalinos, P.A., today.